When you utter the words “christian” and “music” consecutively, you can mean so many different things. Do you mean music that is “Christian”? Do you mean the music that plays on CCM radio stations? Do you mean music appropriate for worship? Do you mean music that Christians have on their IPods? Whatever you mean, a mere mention of this nebulous christian music has the tornadic force to split churches, destroy best friendships, and…well, at least offend some worship leaders. The last group is good enough for now. Speaking about christian music, I want to propose that many (not all) worship leaders would make lousy music critics. Or what if there was a local record shop, and when you went through the door you noticed something strange. Normally, you would see table after table of genres of music broken down alphabetically with band names scribbled on plastic dividers. In this shop, there are just two giant bins: one labelled “OLD”, the other labelled “NEW”. 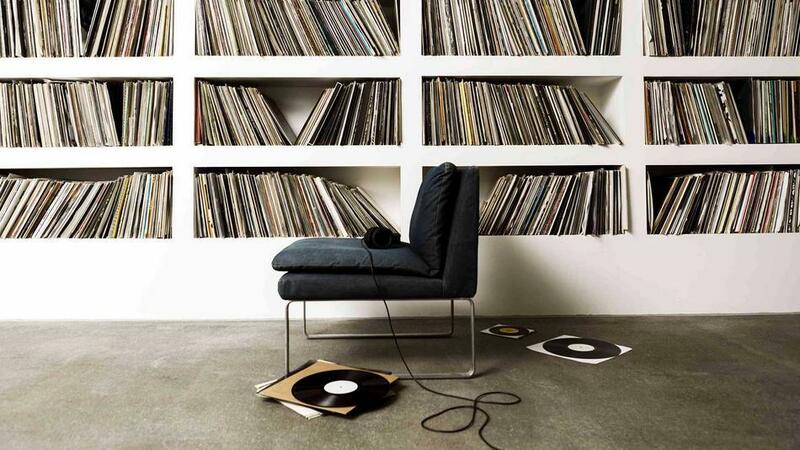 Would you even bother to sift through the two mountains of albums to try to find some good music? Would you even bother going back to that shop? Obviously, no such critic or record shop exists, and that’s my point. A good critic doesn’t care whether music is old, new, purple, or blue. A good critic seeks to understand the musician and what he is trying to accomplish. He evaluates the way the music and lyrics interact and how they affect the listener. A good record shop has staff recommendations, regardless how old or new the albums may be, and it wouldn’t be worth its salt if it didn’t understand that music can be categorized into more than two genres. Herein lies the crux of my argument: modern worship leaders only know how to break music down into two basic (though flawed) categories: contemporary (new) and traditional (old). No one likes to say it, but traditional is merely a nice way of saying, “These folks are stuck in the 1950s,” and contemporary means, “We are on the cutting edge.” Whichever side of the fence you fall on, by even choosing to play this game you have lost. When you as a worship leader or pastor agree to label your service with either traditional or contemporary, you are letting these knuckle-heads win. Contemporary worship leaders want others to recognize their music is new. We get that–although I’ve been to contemporary worship services where the music was from the late 80s, so I’m still not sure how this camp defines “new”. Any good music critic would realize that newness has nothing to do with the goodness of an album or song. Record companies (including Christian ones) churn out new garbage year after year because consumers will buy it. Traditional worship leaders are no better. They refuse to consider newer music, not because it is aesthetically sub par or theologically suspect but because they simply like the sound and feel of what is familiar. This is no better than camp #1. Both the traditional and contemporary factions have chosen to agree to rate their music on one simple scale: age. Where else in the music world, literary world, whatever, do people gradate works on the basis of their age? It’s amazing that we as church members are allowing this nonsense to continue. Music, particularly music for corporate worship, should not be evaluated on the basis of its age–though, I will admit that a song’s longevity throughout the generations is a check mark in the “might be good” column. Our corporate worship music ought to be first evaluated on the basis of Scripture: does it support and promote the clear teachings of Scripture? Other characteristics to consider might be its singability; can it be easily sung by the enter congregation? What about the lyrics and the music? Do they communicate the same or conflicting messages? Does the style of music promote the unity of the body or discourage it? Even further down the trail lies discussions about whether a certain song communicates contrition, gratitude, awe, sorrow, or imprecation. When we choose to throw out the horrific labels traditional and contemporary, we open ourselves up for honest discussion about a song’s ability to inspire worship, honor, and glory to God, while generating unity and biblical gratitude in believers. A song’s value does not lie in its newness or oldness, but in its ability to aid God’s children to glorify their Father with Word-inspired worship. I would be remiss if I didn’t mention that much of this article is a result of rumination on Why Johnny Can’t Sing Hymns by Dr. T. David Gordon. Give it a read! Since When Did Musicians Become “Recording Artists”?